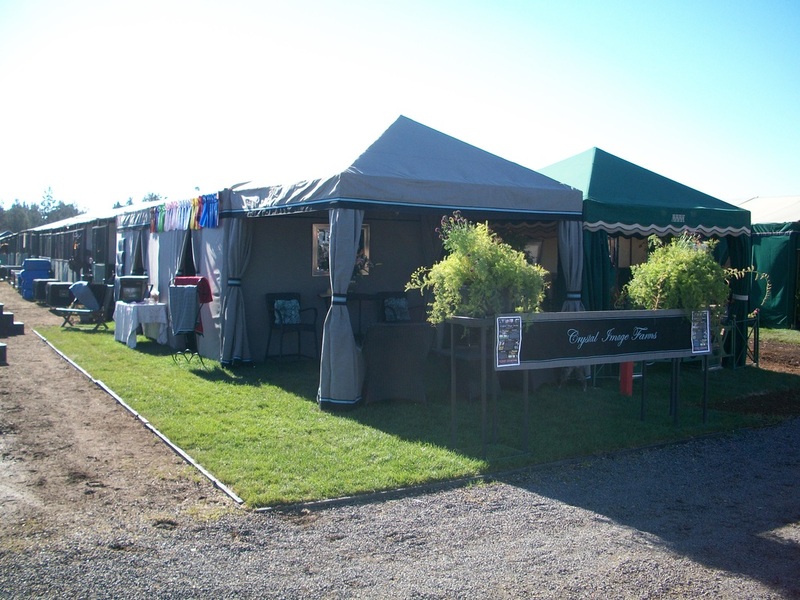 Tent tops are created out of Sunbrella fabric with valances to match your stall drapes. 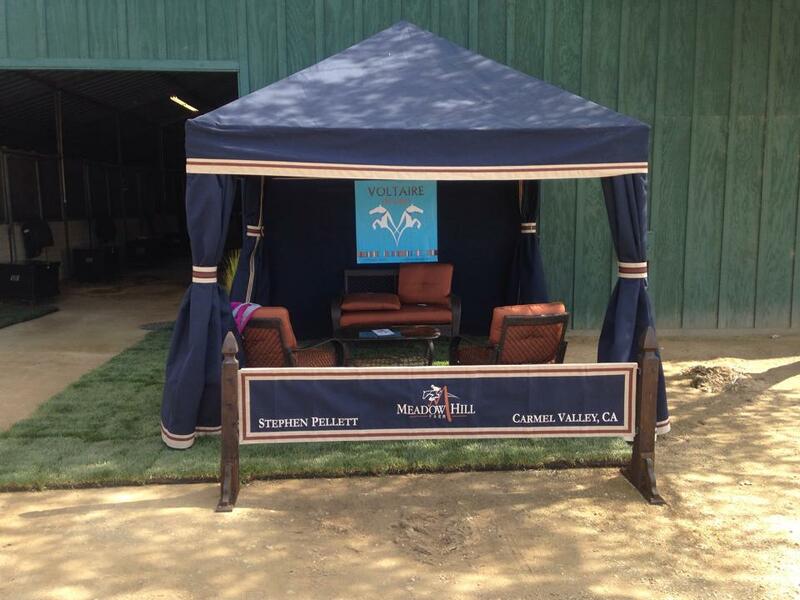 Sunbrella is the most water resistant and fade resistant fabric on the market. Prices vary depending on the valance selection. Logos and barn names can be appliquéd to valances or to the tent pitch. 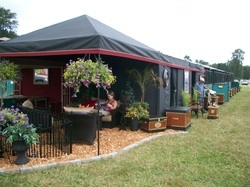 Our enclosure drapes can be made to match your tent top or in a contrasting color, your choice. The enclosure drapes include a wide band of color at the bottom and an accent stripe a the top of the trim band. You can choose from functional (with zippers) or non-functional (without zippers) enclosures depending on whether you want to be able to completely enclose your tent. Tie backs and a cable connection for hanging the drapes are included. The frames we sell are constructed from aluminum and steel for the perfect combination of strength and functionality and are powder coated in a variety of colors. All frames include two hard plastic cases that make shipping a breeze. All tents come with the chandelier option. Is there anything worse than an unexpected gust of wind sending your tent flying into the next county? We've all seen it happen and it makes for a pretty lousy day. To avoid this, be sure to always stake your tent. However, if you lose a tent to weather - snap a picture of the dead tent and send it over to us. Order a replacement within 10 days of the loss and we'll give you a 10% discount on your new tent. We call it the "You've Had a Bad Day Discount."